Hi! I'm Yuriko, the host of "Yu-Art". I have worked as a product designer for about 30 years after graduating Art College. I'm also interested in Japanese traditional Art & Culture. I’m a collector of Ukiyo-e (Japanese woodblock prints). I have more than 10 years of Sado (the way of tea) experience. 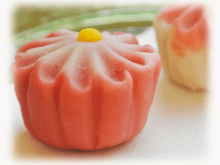 After I learned making Wagashi (Japanese traditional confectionery), I tried designing easier ways to create them. It’s really fun working with me! I hope that you will enjoy Japanese cultural experience in a relaxed & friendly atmosphere my home! We are four women interested in wagashi making so this session was perfect. The activity was as described...organized and informative.The session was relaxing and gave us an appreciation for wagashi making and the ritual of the tea ceremony.The added bonus is Yuriko’s you tube clips.We now are eager to make wagashi on our own. 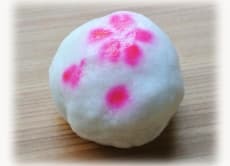 Yuriko san has given us a great fun experience with doing Wagashi, our daughter was also doing, and she thinks it's great fun, teacher are very experienced and professional, if you want to do more than just shopping in Japan this is one alternative. Yuriko-san is a thoughtful and superb host. She is very fluent in English and lovely to chat to. I appreciated the background PowerPoint and video before diving into the activity itself and thought that the informal tea party afterwards was an eye opening experience into the preparation of tea. I look forward to working through the other recipes and instructions on her website! I had a wonderful time during this experience! I arrived at the train station right on time, and the host was waiting there with an umbrella and a Yu-ta Art sign. We walked for maybe 7 minutes to her house, where the class was to take place. I had absolutely no problem communicating with her, and she was very lovely. The set up was very clean and well-organized. My host had prepared several presentations about the history and origins of wagashi, and after we watched them we started making the wagashi! It was winter when I went, so we made narcissus flowers. It was very fun! After we were finished, we had a tea ceremony. All in all, it was a really lovely day! I definitely enjoyed my experience with Yu-ta Art! This is an amazing class to learn how to make Japanese wagishi sweets! My partner and I were met at the train station by Yuriko, who had a sign, her instructions were clear and it easy to find her. After around a 5 minute walk to her house, Yuriko offered us tea to drink and started the class with an explanation of the background of wagashi making with a powerpoint presentation. Yuriko's English is very good and it was no problem communicating and asking questions. Yuriko was very helpful and went step by step in making the first wagashi sweet and was very patient. We were allowed to make the second one on our own, but with Yuriko's guidance when we forgot! Afterwards, Yuriko showed us a simple tea ceremony and our green tea went very well with the wagashi we had just made. I would highly recommend this activity as it is affordable and so much fun to make and eat your own wagashi sweets and watch and drink matcha.